Today is a major day in our history. Feb 1st sees the MPSA project going 100% full time professional. It's a big step, not without some emotion, but forwards we must go! We have just added this stunning new pass to our database. 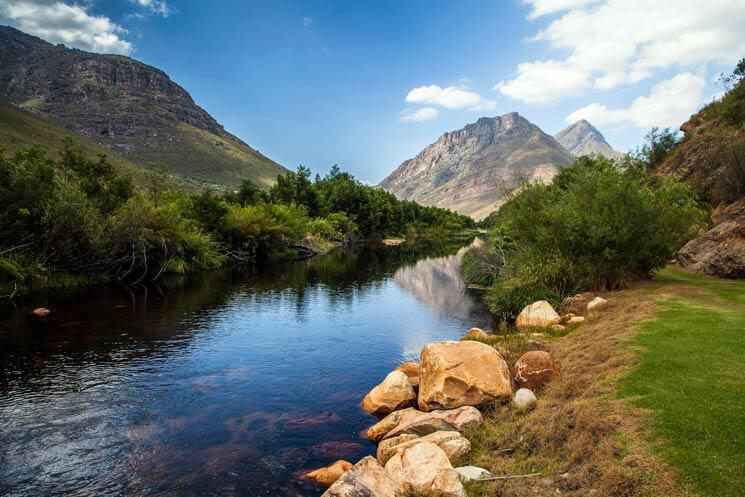 Not only is the scenery stunning, but it's one of the last places in the Cape where you can catch Rainbow Trout - or you can camp along the banks of the river on 5 star camp sites with own ablutions and thick, level, grassed sites; have a meal at the Dwarsberg Trout hideaway bistro or take a hike to the waterfall. If you haven't visited this venue, make a plan, but its popular, so you need to book well in advance. It is unlikely that Dwarsberg will allow motorcycles or quads, so you'll need to tackle this one in your car or bakkie. What does "going 100% full time professional" mean for Mountain passes. I bought your product and really enjoy it. The EXCEL with all passes is like a massive to do list, maybe done when I'm 60. Must have taken ages to put all of that together but really enjoy it. Wishing you and team all the best! It means I will no longer be doing two jobs. I have sold my business and business premises and will be running MPSA as my full time job effective Monday. Good on you! And good luck with the venture. Stettynkloof is truly a well hidden gem indeed. I live close bye and cycle that road every now and then, not as often as I use to and I've done it once on the motorcycle with my son aswell. Infact I was up there on Sunday with a mate. We use to fish for smallmouth bass and trout in the dam alot in the past aswell.